Always remember just how strong you are! This Joma Jewellery bracelet is presented on a gift card that reads 'Wear this little bracelet every day to bring a little strength your way'. 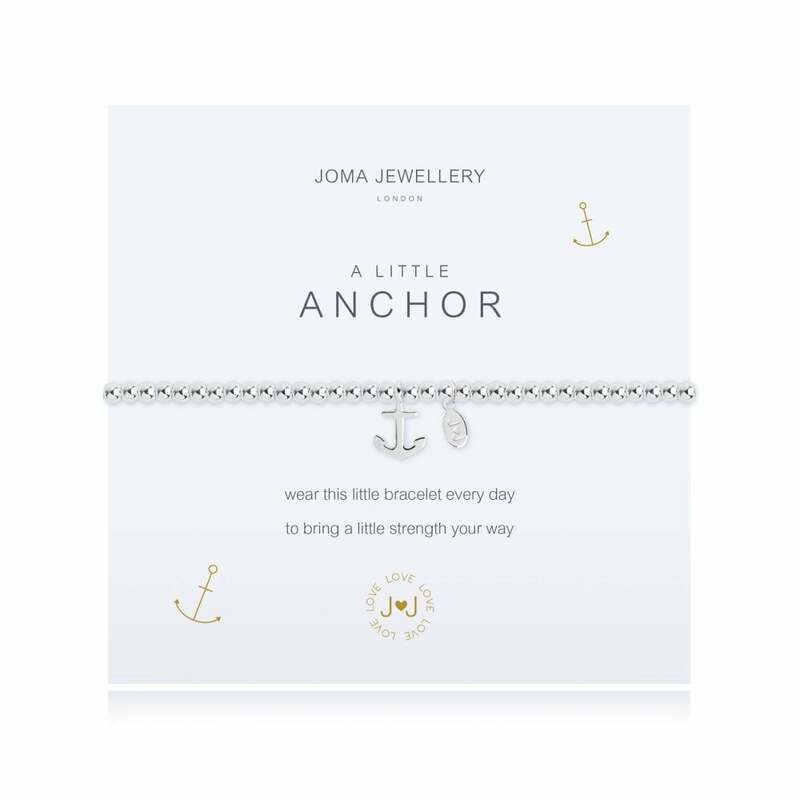 This A Little Anchor bracelet from Joma Jewellery will give you strength when you need it the most! Whether you're a long way from home, going through a difficult time, or just need a little reassurance, the silver anchor charm attached to the bracelet's shimmering silver beads will remind you of the strength you always have within yourself!